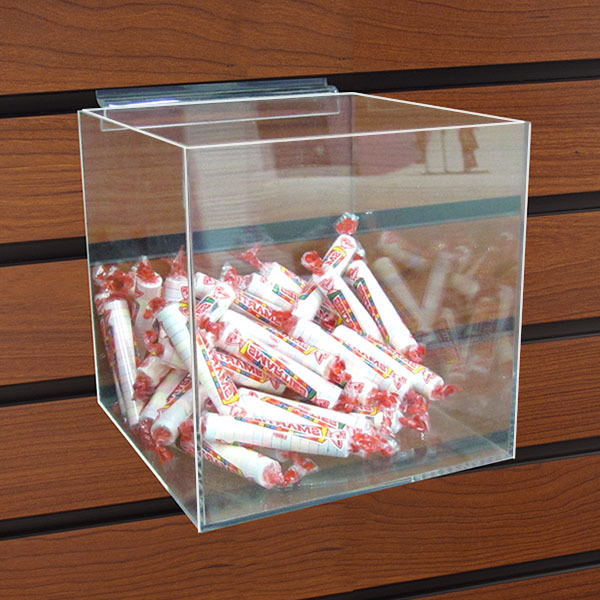 Acrylic bins are ideal for bulk and individual candy display! Acylic bins are ideal as a candy display throughout your store. Angled opening gives the customer easy access to product. These bins can help you maximize space; bins stack tightly on slatwall or slatwall displays. For even more options, we encourage you to take the occasion to look through our complete selection of candy displays at Specialty Store Services now.